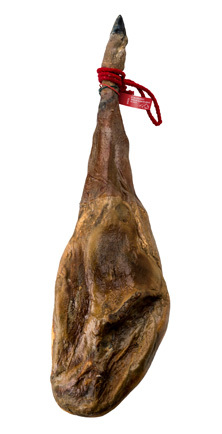 Unique Iberian hams from the tradition of great artisans. 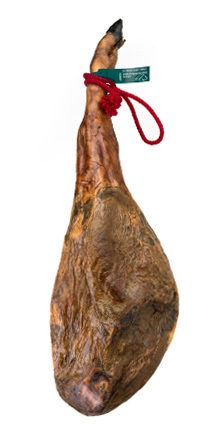 100% Iberian breed acorn-fed ham. The maximum expression of taste. 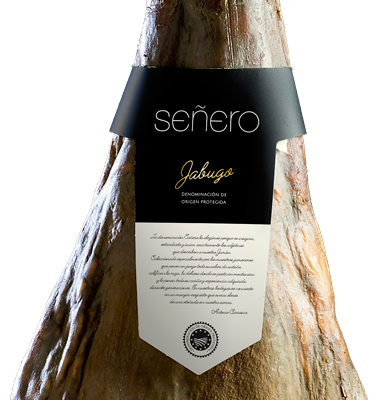 We have chosen the name SEÑERO because it means INCOMPARABLE, INSIGNIA, UNEQUALLED and UNIQUE in Spanish, precisely the adjectives that describe our best ham. Careful presentation in cloth cover and box specially designed for an authentic PATA NEGRA. 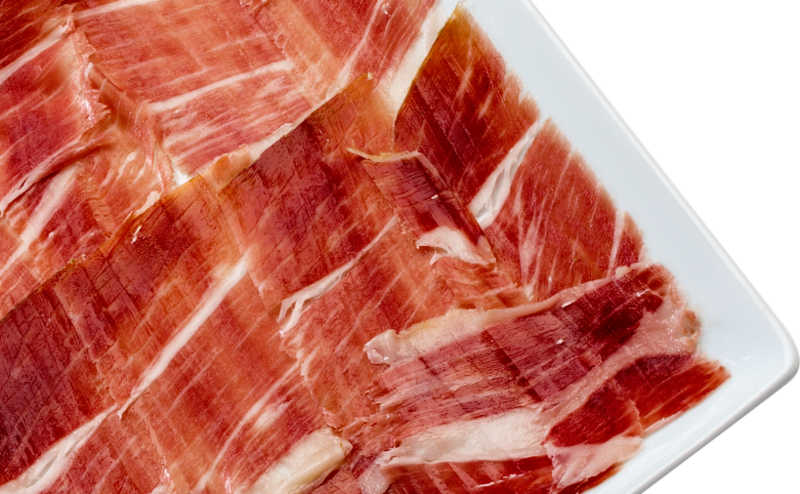 Intensely aromatic and mild-flavoured, Cuyar Iberian Ham is delicate on the palate and has an unmistakable aroma. 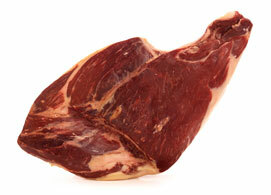 Both tender and juicy, its fragrance is exquisite. 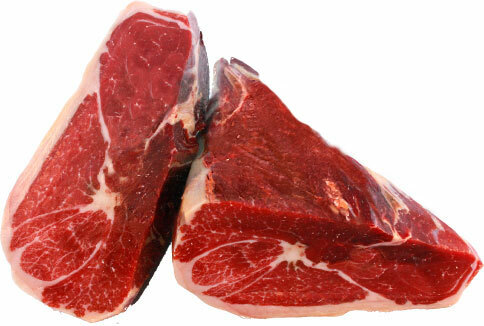 The fat creates the streaks that give it a marbled look, contributing to the outstanding juiciness and fine texture. This fluid, aromatic fat dissolves in the mouth, inundating the palate with a prolonged, intense and highly nuanced flavour. Undoubtedly incomparable. The Iberian pig lives in freedom during the time it grazes on the open range eating acorns and wild grass. 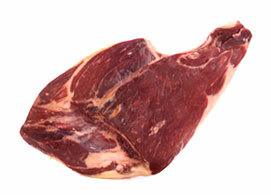 This period, called the montanera, is the basis of the quality of its meat. 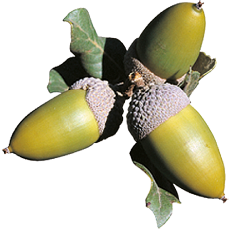 During this vital phase the acorn, due to its high carbohydrate content, provides energy that the animal stores as the famous fat, and the grasses and herbs add their peculiar perfume to all products derived from the Iberian pig. 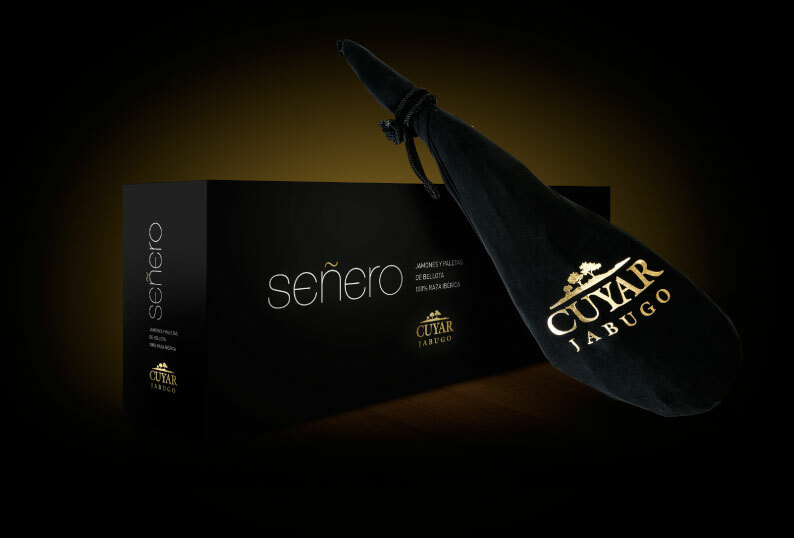 Intensely aromatic and mild-flavoured, Cuyar Iberian shoulder is delicate on the palate and has an unmistakable aroma. Both tender and juicy, its fragrance is exquisite. 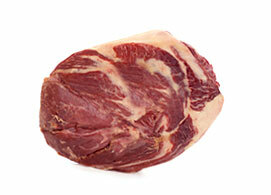 The fat creates the streaks that give it a marbled look, contributing to the outstanding juiciness and fine texture. This fluid, aromatic fat dissolves in the mouth, inundating the palate with a prolonged, intense and highly nuanced flavour. Undoubtedly incomparable. 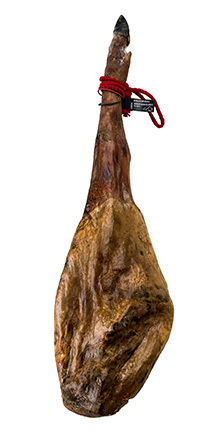 You can prepare perfect dishes of the best ham without losing the unique texture, aroma and flavour with Cuyar’s knife-sliced acorn-fed Iberian ham. Quick and easy. 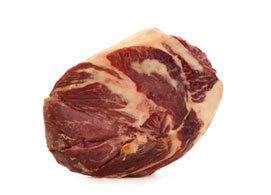 Cuyar provides fully boned hams and shoulders for your convenience. A meticulous process through which Cuyar’s Iberian shoulders and hams acquire their full aroma, flavour and unmatched quality. 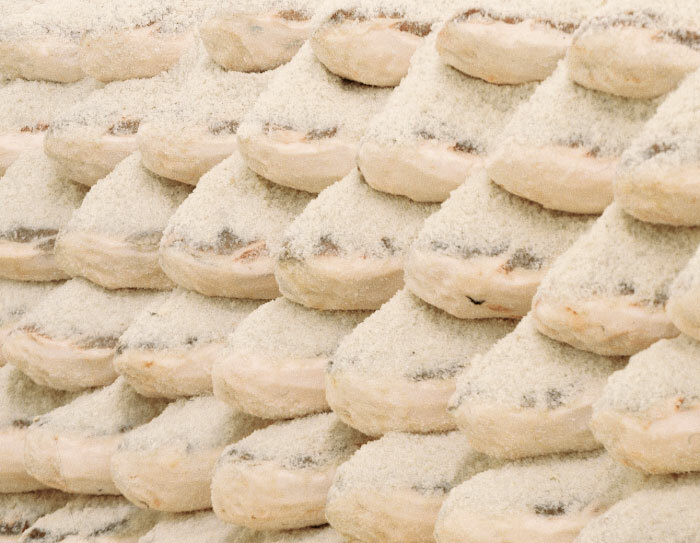 More than twelve months for the shoulders and a minimum of eighteen for hams that may reach up to thirty depending on size.